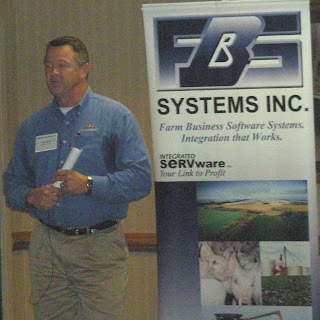 Registration is now open for the annual FBS User Conference, August 24-26 in Moline, Illinois. This year's event features new speakers and topics, a wide range of breakout sessions geared to different interest groups and release of some exciting new technologies. A 30th Anniversary banquet, sponsored by DTN, will honor FBS clients and look back on some of the milestones of ag computing. 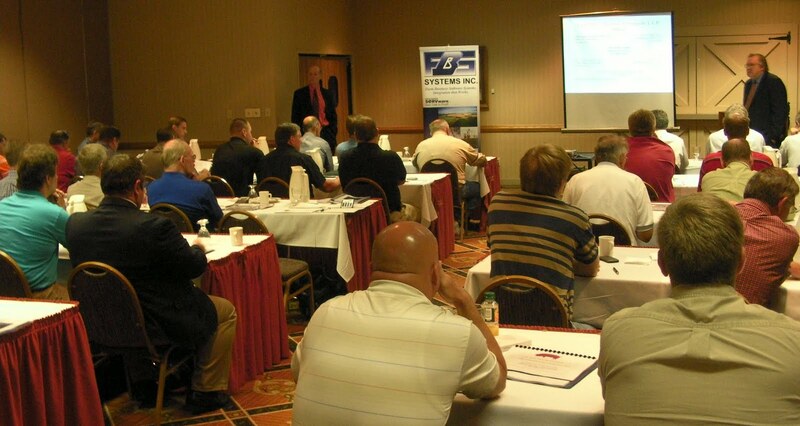 New presenters include nationally-known consultants Steve McWilliams ("Do You Need a Controller / Are You Ready for a CFO?") and Moe Russell ("Incorporating FBS Data Into Risk Management Decisions" and "Crop Cost Benchmarks"). The deadline for hotel reservations is Wednesday, July 23. Call the Stoney Creek Inn at 309-743-0101 to reserve you room now. 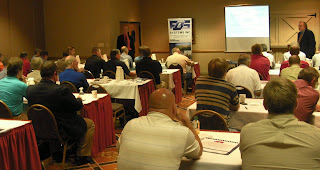 From the 2009 cost of production benchmarks through the outlook for 2010 and beyond, presenters at the 2010 PORK$HOP seminar on June 8th in Amana, Iowa, defined the new boundaries of playing field as well as the rules pork producers will need to adopt to survive in the years ahead. “The big change (in cost of production) is corn, which dropped on an average of $1.26 per bushel from 2008,” reports Mark Penningroth of Latta, Harris, Hanon & Penningroth L.L/P., which compiled the cost benchmarks from 41 operations. The $12.93 per live hundredweight range of production costs within farrow-to-finish participants illustrate the opportunities for even healthier profit margins, and in spite of conventional wisdom, the lowest cost producers are not necessarily the largest operations. For more information on the LLHP benchmarks, visit their website at http://lattaharris.com/ or contact John McNutt at jmcnutt@lattaharris.com . Kent Bang from the Bank of the West reported that the hog cycle is still alive, but has changed to a longer down cycle due to higher investments in fixed assets, more contractual arrangement and more specialized production segments. He believes the up cycle has also lengthened because of increased volatility which has limited lenders interest, as well as the unfavorable location and age of existing facilities and competition which discourages new entry. Q. What's the best way to handle an Accounts Receivable invoice that has been outstanding for a long time and which you no longer expect to be paid? In other words, how do you write-off a “bad” A/R? A. One approach to write off an old A/R invoice—yet maintain a balanced general ledger—is to enter a new A/R invoice in the same accounting year as the “bad” A/R. Use the same Ledger Account, Center, and Division as the original entry except reverse the amount. To document the purpose of this entry, type something like “Write off A/R ####” in the Description field (where “####” is the original invoice number). Also remember that whenever you make changes in a prior accounting year, you must re-create accounting beginning balances (Utilities Create Beginning Balance) and to re-calculate retained earnings (General Input Accounting Calculate Retained Earnings) for each succeeding year. Note when following this procedure, the original and offsetting invoice can either remain “open,” or are both paid on the date the decision is made to write-off the original A/R. Other options are also available for handling this tricky transaction. Remember to always consult with your accountant before making changes in a prior accounting period.